Do you want to reach local customers on social media? Are you monitoring the online conversations near your business? Geo-specific social media monitoring tools help businesses engage with customers who are close to their brick-and-mortar stores. 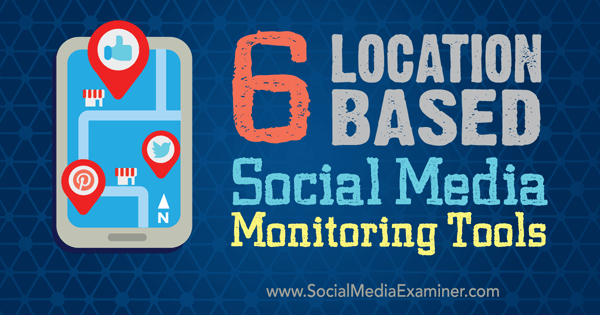 In this article I’ll share six location-based monitoring tools to use for local social media marketing. Why Use Location-Based Monitoring Tools? Geo-specific social media monitoring tools are different from the conventional keyword-based monitoring tools in many respects. For one thing, these tools offer a clear picture of what’s happening at a particular location, which helps you reach out to local audiences. Plus, they allow you to connect better with your community by engaging with local social media influencers and leveraging local hashtags. 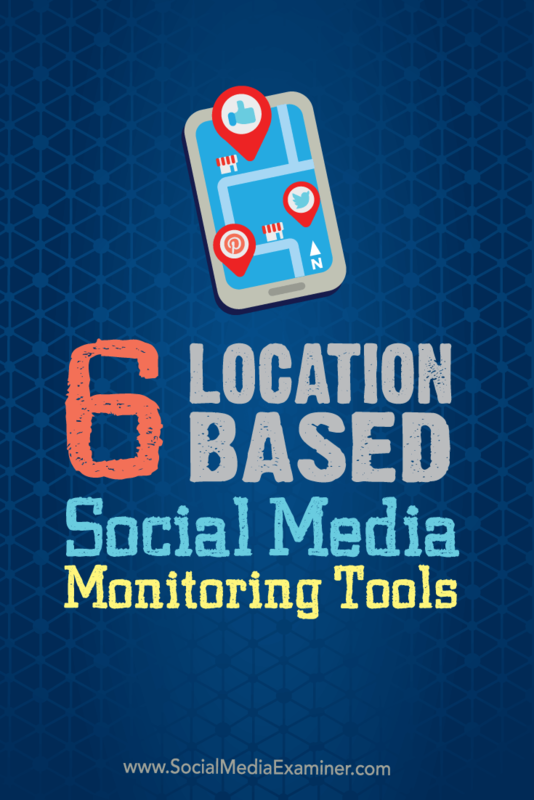 Discover location-based monitoring tools to use for local social media marketing. If you do social media for a company with multiple locations, here are some excellent tools to explore. Geofeedia allows you to search real-time social feeds by location to discover geolocation social media posts from anywhere worldwide. You also have the ability to monitor multiple locations to archive, curate and share your content. Simply draw a custom perimeter or enter an address on Geofeedia’s digital map. It will then display all social content posted by users in that particular area. While the tool searches by location first, you also have the ability to filter your search by keywords, date, time, users and more, across various social media channels including Facebook, Instagram, Twitter, Flickr and YouTube. Draw a custom perimeter or enter an address on Geofeedia’s digital map to see all local social content posted by users. Discover what’s trending in an area. Then leverage those trends by including the right keywords and hashtags into your social conversations. Geofeedia offers custom social media monitoring solutions for different industries. The pricing depends on the features you require, as well as the number of locations you want to monitor. If you’re looking for a cutting-edge social monitoring tool for geo-specificity, WeLink is an excellent option. It lets you engage your potential customers with targeted ads and instant offers on their preferred social media channels. 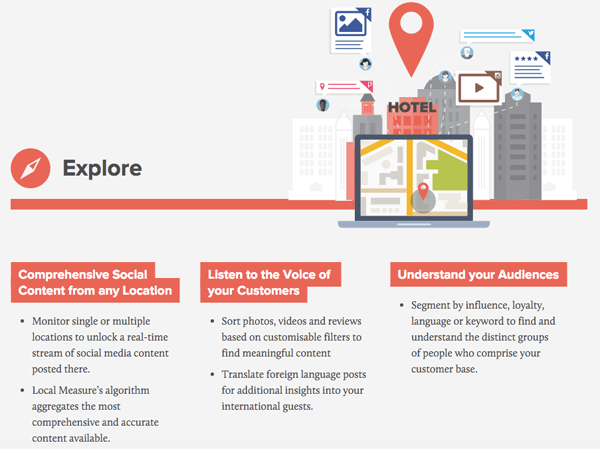 This easy-to-use tool combines keyword-based monitoring with geo-specific listening to offer enterprise-grade location-based social monitoring solutions. The result is a hybrid solution, which uses cellular data mining and WiFi to help you discover and collect all social chatter within your selected area. 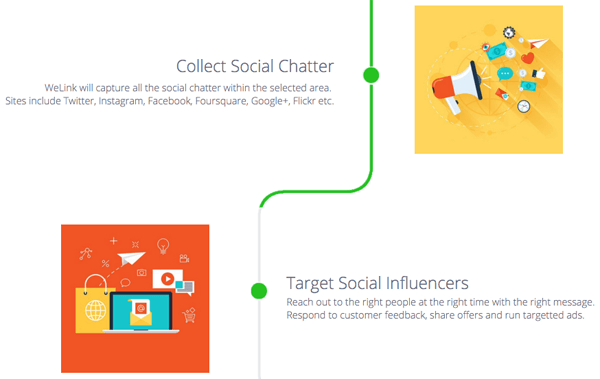 Gather feeds from all popular social channels using this tool. Discover and collect all social chatter within your selected area using WeLink. Use WeLink across various verticals including event management, retail, malls, airlines, hospitality, sports teams and stadiums, schools, security and law enforcement, etc. WeLink offers custom pricing, depending on the features you require. Sysomos enables you to listen to what’s trending locally and understand what your customers are talking about. Use this location-based tool to discover and dig into social content posted by local influencers. Sysomos will gather digital content from popular social media platforms like Facebook, Twitter, Google+ and LinkedIn, as well as posts on blogs and forums. It then collects and displays insightful actionable data in a single platform. Filter digital conversations by both keywords and demographic information. This makes Sysomos particularly beneficial if you’re targeting customers within a specific age group or gender, for instance. Discover which topics, trends and brands particularly interest your target audience, and then create marketing campaigns based around these areas. 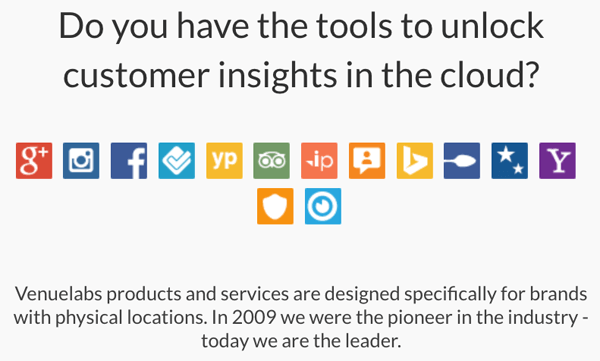 Sysomos differs from other location-based social media tools in many ways. For one thing, it collects both real-time and previously posted content on any topic across social networks. Plus, you have the ability to capture the conversations most relevant to your brand, which allows you to see what users are saying about you and your products. This tool charges a monthly subscription fee for software licenses. MomentFeed is trusted by some of most popular and smartest companies in the world, including Pizza Hut, Burger King, Old Spaghetti Factory, AT&T, Disney, Coffee Bean and Starbucks. These international brands use MomentFeed to connect with local customers in a meaningful way. This platform captures content that forms your digital place identity at the national and international levels, as well as locally. 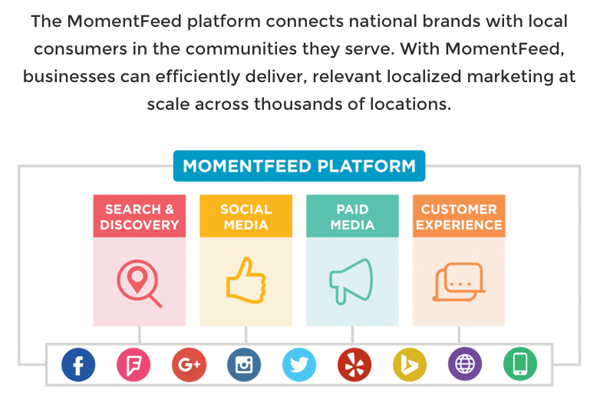 MomentFeed lets you gather local social data (for example, it will roll your Facebook page reviews and ratings into its local voice dashboard) to create targeted marketing campaigns. Plus, its analytics offer competitive intelligence so you can measure your performance and ROI at each point of sale. MomentFeed combines your local social data so you can create targeted marketing campaigns, and then measure performance at each point of sale. MomentFeed provides hands-on support to businesses to help them achieve their goals and objectives in the most cost-effective way. Venuelabs measures local customer experience to discover interesting insights. Businesses can then use this feedback to plan marketing campaigns more effectively. Retail businesses, restaurants and hospitality industries including Original Joe’s, Sunburst Hospitality, American Golf and Albertsons have been using Venuelabs to understand and grow their local customer communities. Venuelabs helps local businesses discover and measure their customers’ experience, so they can make improvements and cater to their needs. This tool helps brands measure their customer experience, as well as transform location-based “big data“ digital signals into actionable business insights. 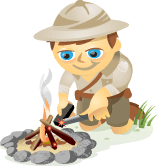 Venuelabs also improves local search and discovery of a brand by targeting and curating local content and promotions. Venuelabs also has a self-serve platform called AboutLocal for small businesses to explore and analyze the in-store customer experience. They offer a free basic account, which can be upgraded to a premium plan. Local Measure helps you improve your user experience and drive brand advocacy by letting you discover and analyze what your customers are talking about. Find social content such as photos, videos, reviews and ratings, published at your business location or locations. You can also filter content based on your requirements. Local Measure claims that front-line staff misses more than “80% of feedback from customers.” Their mission is to fill that gap. Gain valuable insight such as current trends and user sentiment to understand the performance of your brand at a location level. Local Measure will also display the top user-generated content on your apps, websites and other social and digital screens to help you understand the experience of your real visitors. Find valuable user-generated content, as well as gain insight on trends and user sentiment through Local Measure. Local Measure features include the ability to identify loyal customers and local influencers by their names and by their follower counts and visits. Plus it recently added a Translate feature, which allows you to read posts and respond in your language of choice. Local Measure offers tailored solutions for various industry domains, including hospitality, entertainment and events, tourism and destination marketing, malls and hotels. Location-based social monitoring helps you capture and monitor local trends and digital content, which enable you to engage more effectively with your local customers and respond when necessary. Almost all of these tools provide a real-time search component to make your social conversations more effective. They save you time and effort by making it easy to monitor your brand’s performance at the local level. Integrate these tools into your marketing mix to remain updated and improve engagement with your local social community. What do you think? Do you monitor your brand’s social performance for your particular locations? What location-based social media monitoring tools do you use? Please share your thoughts and recommendations in the comments. Map boundary photo from Shutterstock. Tips for local social media marketing with location-based monitoring tools. Vivek Patel is a Local Search Specialist at E2M and Content Marketer at MoveoApps. He writes about local search optimization, link building tactics, social media marketing, mobile applications and technology.